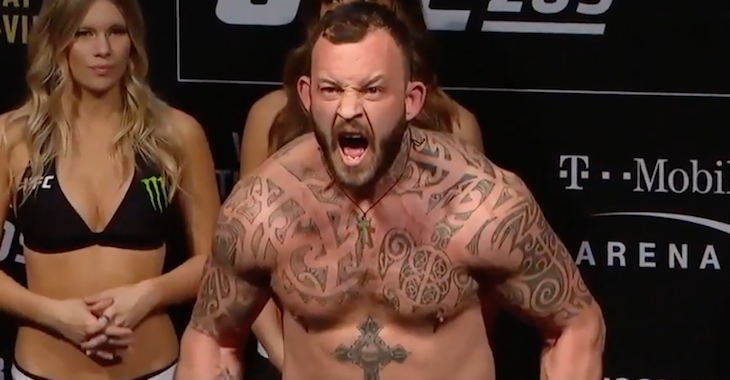 American heavyweight Walt “The Big Ticket” Harris entered his UFC Phoenix bout with Chase “The Vanilla Gorilla Sherman” with his back to the wall. After going 0-2 in his first stint with the UFC, he returned to the Octagon, only to amass a 1-2 record in this second run with the organization. 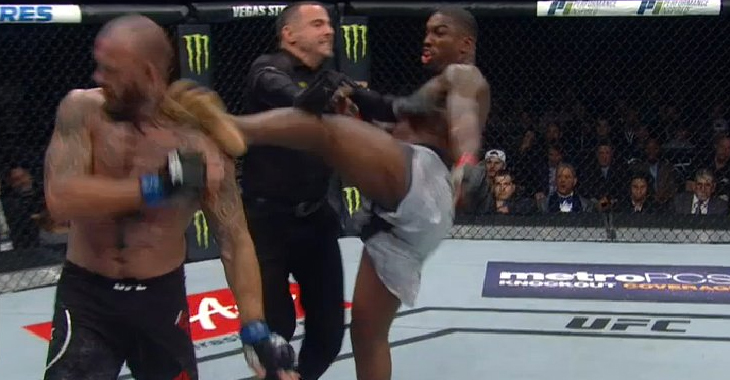 In Phoenix, Harris produced the win he needed, moving to 2-2 in his second UFC stint with an absolutely crushing, second round knockout. The massive heavyweight earned this knockout by blasting his foe with a right hook, knee, straight left combo, and following up with a hellacious series of ground strikes. With this win, Harris returned to the win column after a recent decision loss to Shamil Abdurakhimov. He’s now 9-5 in sum. Sherman, meanwhile, falls to 0-2 since joining the UFC roster in mid 2016. He lost his debut to Justin Ledet, giving up a unanimous decision. 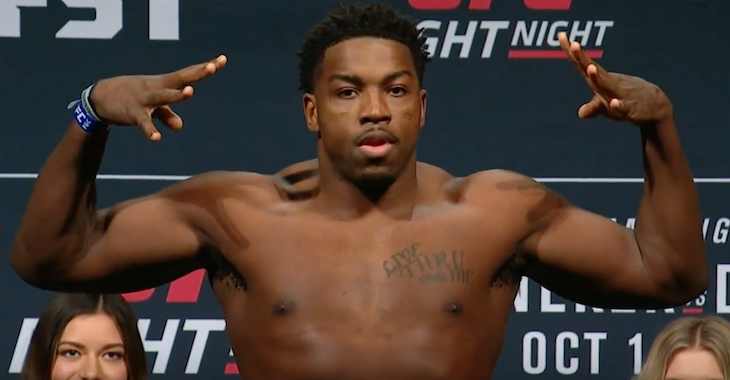 Who do you want to see the talented Walt Harris fight next? Sound off in the comments section, PENN Nation!